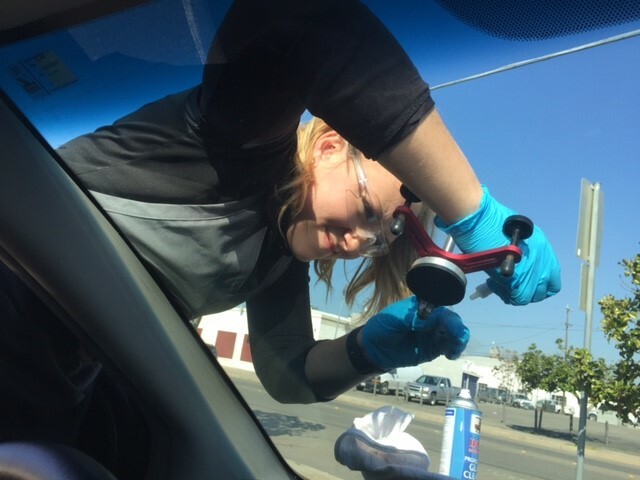 If not repaired, a rock chip could form a crack if there is a drastic change in temperature ( i.e washing your car on a very hot day with cold water) and/or if internal or external stress occurs to the windshield. By injecting a specially formulated resin into the area. When the damaged area has been completely filled, it is exposed to an ultraviolet light which cures the resin. This restores 100% of the structural integrity and, in most cases, most of the clarity within the damaged area. Most repairs can be completed in 15 to 30 minutes. Industry statistics say that chances are 1 in 5000 for this to happen. Because DMG technicians are NGA certified and work under controlled conditions, we can assure you that the risk is minimal. Do I need to bring in my vehicle or can this be done mobile?